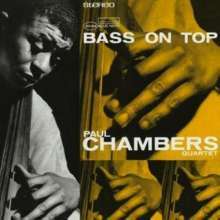 Der Artikel Paul Chambers (1935-1969): Bass On Top (Rudy Van Gelder Remasters) wurde in den Warenkorb gelegt. 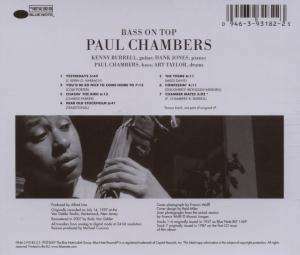 Paul Chambers was the most in-demand bassist in jazz within a year after arriving in New York City. He was signed to Blue Note, in Miles Davis’s quintet and making countless sessions for a who’s who of modern jazz. Bass On Top was his third album and remains a crowning achievement. Chambers assembled a quartet with Kenny Burrell, Hank Jones and Art Taylor and built arrangements which feature his instrument prominently on melodies and solos. His bowed work is a thing of beauty. This Rudy Van Gelder remaster includes a seventh track from the session that was not on the original album.